Douglas Mwangi struggled with the education system in Kenya. He grew up in the Mathare slums in Nairobi, the youngest of eight children in his family. For Douglas, quality schools were unaffordable, and affordable schools weren’t teaching skills that could get him anywhere. Like many of his peers who weren’t able to go to school, Douglas was tempted to find social inclusion through gangs or drugs. But Douglas turned to something else. He found security, education, and opportunity in the world he could access through his mobile phone. He signed up for online classes and earned a diploma in web development. Douglas didn’t just get a diploma. He has transformed his community. “Having experienced the power of ICT during my internship with DOT Kenya, I realized that given the opportunity and access, the youth in the slum areas have a great potential to utilize ICT to improve their lives and those around them,” says Douglas. During his time with DOT as a community leader and digital champion, Douglas identified practical ways to address the needs in his community, and DOT provided him with the communication, facilitation, and innovation skills to move forward with his ideas. 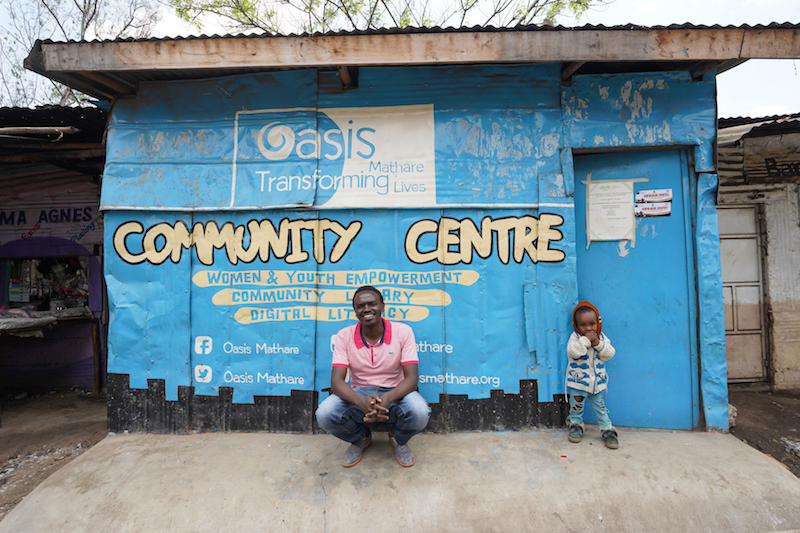 In 2014, Douglas founded Oasis Community Center, the first digital community hub in the Mathare Slum. A few computers, wireless internet, a quiet room where young people who are normally stuck in cramped, noisy quarters can study, focus, and think. Douglas has become a trusted and skilled leader in his community. He has connected more than 500 young people to digital opportunities – online courses, networking, peer learning. Each one of those 500 is a role model in the Mathare Slum, creating a ripple of understanding about how digital opportunities can change lives and transform communities. Oasis Community Centre now has multiple locations, and Douglas continues to expand the centre’s services. The centre runs a mobile library on weekends and school holidays, and has partnered with two primary schools in the community to offer library services. In a powerful testament on how the community has embraced Douglas, community leaders donated a piece of land to the Oasis Community Center. Douglas plans to develop the land and run Oasis’s operations from there. Douglas represents the incredible potential of youth-led innovation in Kenya. 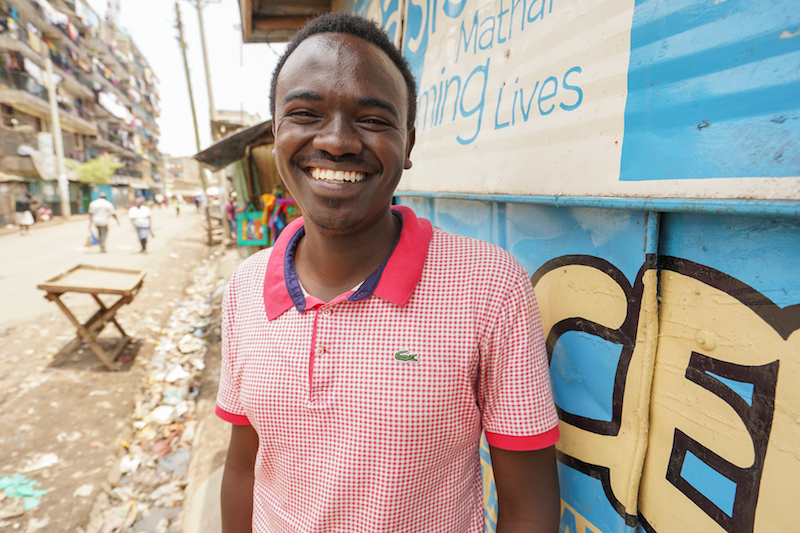 Kenya is a tech leader in Africa, and navigating its new world of work will require young people to have new skills such as creativity, adaptability, digital, communication, and resiliency–skills the traditional education system does not always adequately instill in young people like Douglas. These skills can be developed through mentorship, networks and peer groups like what DOT offered to Douglas, and offers to many young people in Kenya. With the right skills, youth can become daring social innovators, transforming their communities just as Douglas has transformed his.